MAMA Youth Project receives royal recognition for its inspirational commitment to learning and development. MAMA Youth project has been commended by Princess Royal Training Awards 2018 for outstanding training that it is providing to individuals from underrepresented groups to increase diversity in the media industry. 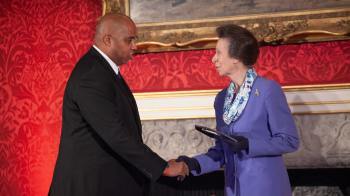 MAMA Youth’s CEO, Bob Clarke personally received the award from HRH Princess Anne at an awards ceremony in St James’s Palace yesterday. 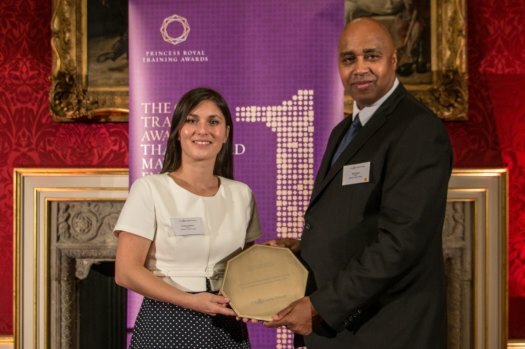 The prestigious awards honour UK employers for their outstanding training and development programmes, which have directly resulted in measurable success. To receive the commendation, MAMA Youth Project implemented a programme called the What’s Up TV Training and has been running this for over 10 years. This is 14 weeks of intense training to help individuals get into the media industry. A unique aspect of our training model is that it puts participants into a 'real-time' work situation during which they work in a tightly knit team to produce 6 half hour episodes of a broadcast-quality magazine TV show called ‘What’s Up TV’, which is aired on Sky One. The Princess Royal Training Awards, delivered by the City & Guilds Group, are now in their third year. Each of the applications were assessed against three Hallmarks of Excellence by the Princess Royal Training Awards Commission, which comprised of HRH The Princess Royal and seven leading figures in the business and training community. For the full list of recipients and their training schemes, please see the link here.